When a man was arrested in Soviet Russia and disappeared into the benighted Gulag concentration-camp system, he stepped off a precipice into a detached, parallel netherworld with its own laws and language and its own terrible destiny. The Soviet leaders regarded such prisoners as useful economically, but no longer human: in the newly opened Stalin archives, I recently found a note to Stalin from one of his henchmen who, on a visit to the White Sea Canal project, wrote that the slave-labourers had impressed him so much that “some of them might actually become humans again”. During Stalin’s reign, 18 million people toiled in 476 Gulag (an acronym for Main Camp Administration) complexes, such as Kolyma or Magadan, territories sometimes as big as France, in a colossal enterprise of slavery and death. The USSR was founded on this slavery – it served both as an incentive to obey and as the engine of the Soviet economy. Despite Solzhenitsyn’s The Gulag Archipelago, many memoirs and open archives, we have until now lacked an accessible Gulag history. 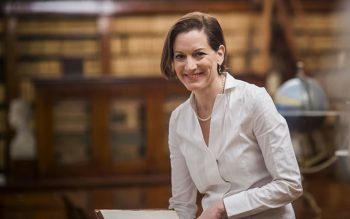 Fifty years after Stalin’s death, Anne Applebaum fills the gap. The lack of recognition for the colossal crime known as the Soviet experiment was symptomatic of the Western Left-liberal feeling that Stalin may have been brutal – but in a good cause. Applebaum demolishes this shameful nonsense. She demonstrates that the Gulags were comparable to Hitler’s camps – though they were not, of course, identical, since Stalin’s slaves were worked to death but not industrially exterminated like the Jews. The camps began in Lenin’s time. It was Stalin who developed the system into an economic powerhouse in which slaves, whether intellectuals or peasant “kulaks”, victims of collectivisation, built canals, slaved in goldmines, felled timber. The number of prisoners rose in the early 1930s, but Applebaum recounts how the Great Terror of 1937-38, the most notorious of Stalin’s bloodbaths, was far from the worst time for the Gulags. That came during the Second World War and after, when the camps were filled with the innocent flotsam of wartime: the camp population reached its height in 1950. Millions died of starvation. 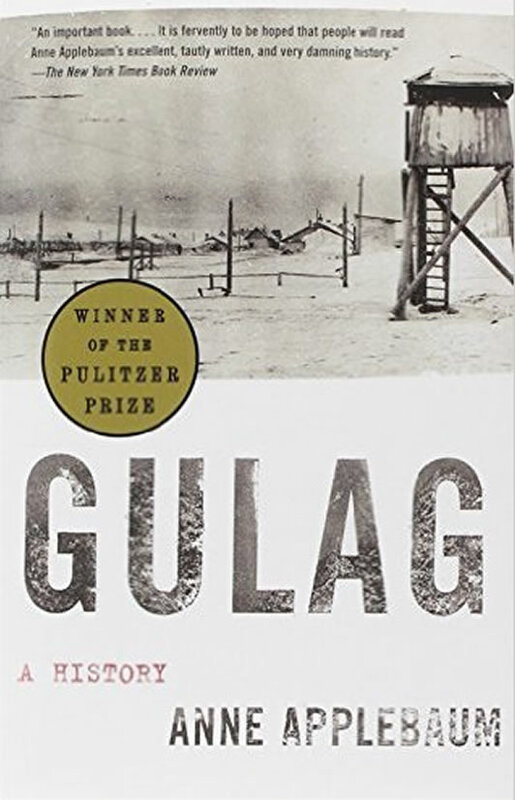 Gulag is divided into three sections: two are narrative, but the core of the book is a portrait of the system and what it was like to live in it. Applebaum’s chapter on the journey to Magadan in the far east of the Soviet Union is harrowing: the transit camps and the boats were simply diabolical; the mass rapes and murders beggar belief. Applebaum tells us how the dying were known as “wicks” (as in burnt-out candles); how the prisoners – the “zeks”, in camp vernacular – survived by pretending to work; how the best-connected prisoners, often the intellectuals such as Solzhenitsyn, managed to survive by becoming “trusties”, or informers. She is too shrewd to make judgments about these desperate struggles to survive. The book is not stalked by death but steeped in it: murder, execution, starvation, cannibalism (escapees would take a man known as the “meat” to eat when their provisions ran out), suicide (prisoners were sometimes reduced to nailing their own testicles to furniture). Babies were taken from their mothers once they stopped breastfeeding; mass rapes were encouraged; many women survived by becoming mistresses of criminals or guards. Academic purists may criticise her dependence on memoirs and literature – but Applebaum uses her sources judiciously. Besides, it takes poets to describe this inferno: Anna Akhmatova lamented how in Stalin’s Terror “Russia, guiltless, beloved, writhed under the crunch of bloodstained boots.” But Applebaum’s narrative sections are sometimes too cursory. I would like to have known more about the Gulag’s political history; perhaps that would be another book. This story will remain relevant as long as we grasp the value of freedom. Solzhenitsyn wrote that “we didn’t love freedom enough” and so deserved everything that came after. No one was punished for the crimes of the Gulag. “And the killers?” wrote another prisoner, Lev Razgon: “The killers live on…” None the less, these lessons will outlive the murderers and the victims.